Neighborhood Music has on its board of directors and teaching staff, several members of the Glendale Music Teachers Association board. 90% of our piano teachers and 25% of our woodwind teachers are members of a Los Angeles, Pasadena, or Glendale branch, and actively enter their students in the annual Certificate of Merit or CM Exam. We have a history of passing several advanced level (or Level 10) piano students and recipient of the 100% theory award. We have had several ABRSM adjudicators on our teaching staff and have several students who choose to prepare for this annual exam. We currently have 20% of our piano teacher staff who specialize in preparing students for this international certificate of achievement program. 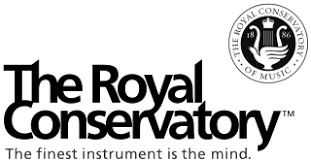 We have had several qualified teachers to prepare students for The Royal Conservatory exam. We currently have 10% of our piano teacher staff who specialize in preparing students for this international certificate of achievement program. We are grateful to our community partnerships! Please visit their site and support their endeavors.